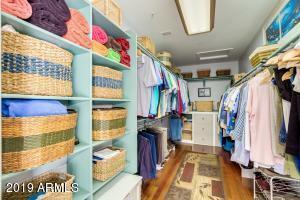 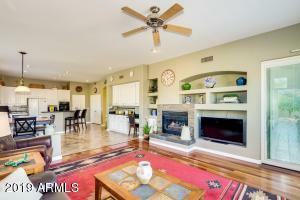 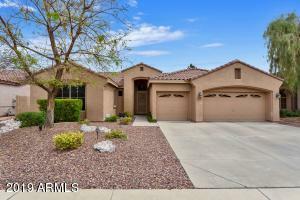 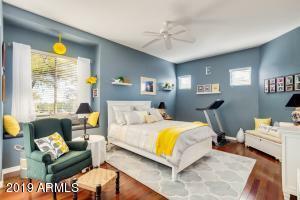 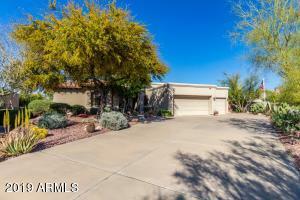 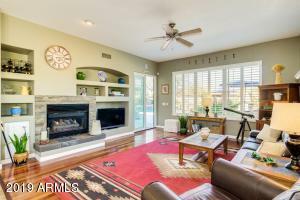 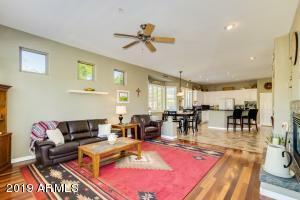 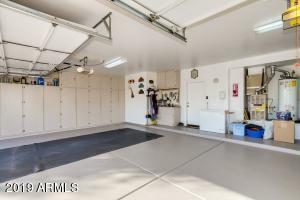 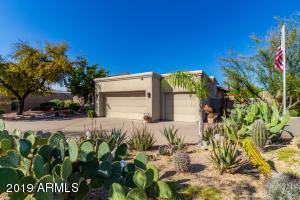 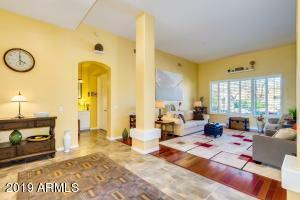 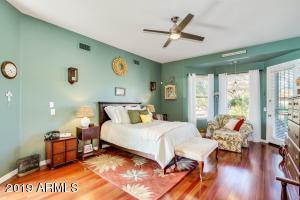 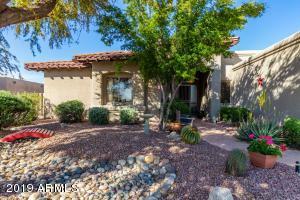 Hard to find - Immaculate 2 Master Bedroom Home in Scottsdale. 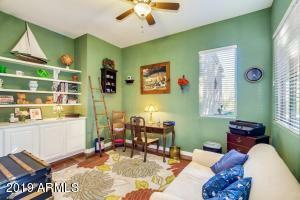 2,754 sf of living space & no steps. 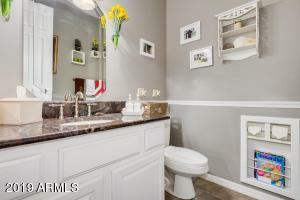 Beautifully maintained by owners. 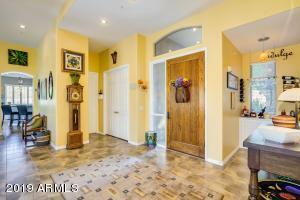 Brazilian Cherry wood & tile flooring. 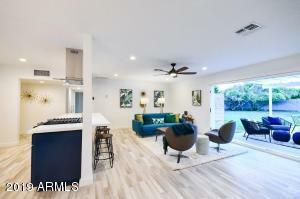 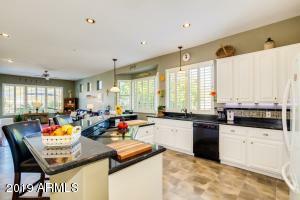 Large eat-in kitchen opens to family room w/fireplace. 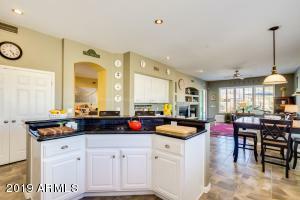 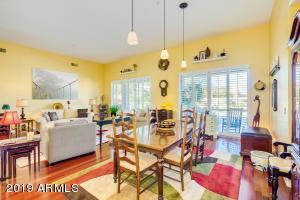 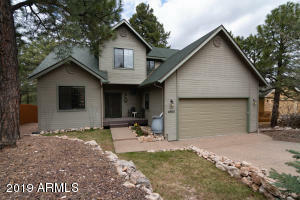 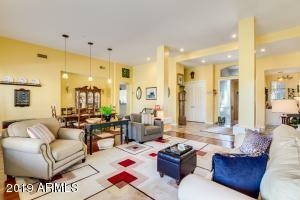 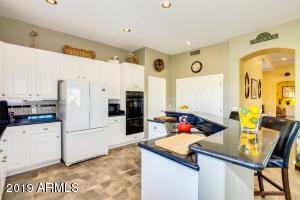 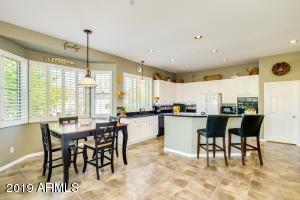 Kitchen w/granite counter tops, island w/breakfast bar, double wall ovens, pantry & plenty of cabinets. 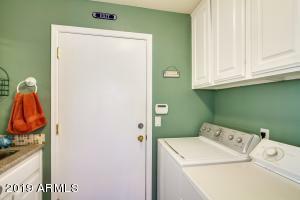 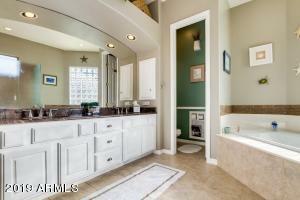 Bedroom w/direct access to yard, separate shower/tub, raised granite top vanity w/two sinks, private toilet area & walk-in closet. 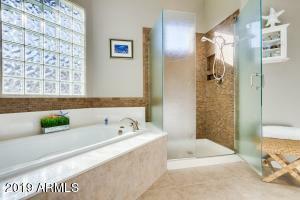 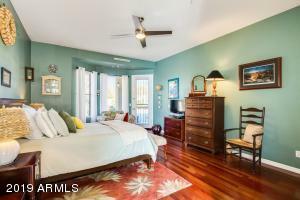 Second bedroom is also spacious w/wood flooring, combination shower/tub, raised vanity & granite counter tops. 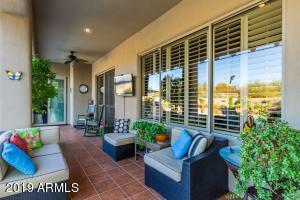 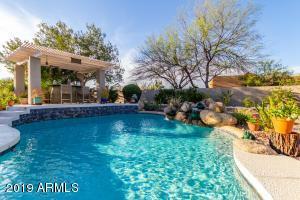 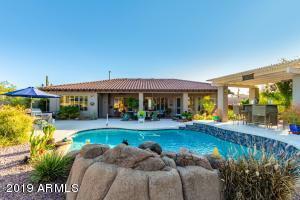 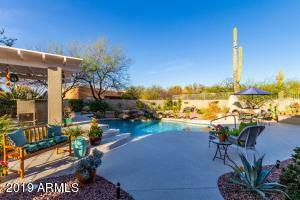 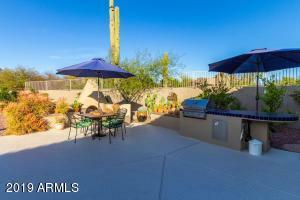 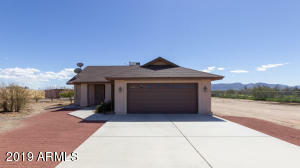 Back yard is a desert oasis w/fantastic views of Pinnacle Peak. 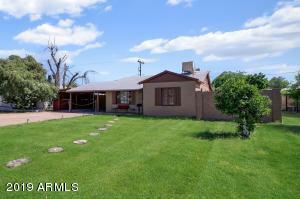 Larger lot for added privacy. 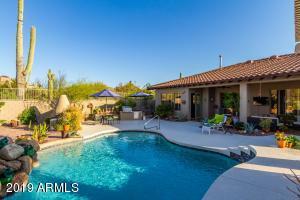 Sparkling pool w/waterfall, Ramada, built-in BBQ, fireplace & extra patios for entertaining. 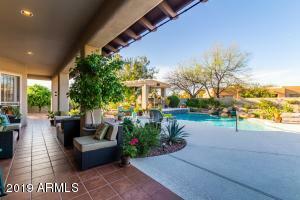 Amazing home and property! 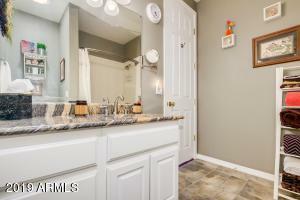 East on Dynamite to 95th Street - North to Mark Lane - Left to Gamble - Left to Cul-de-sac and property.